70 L. A. Marky and K. J. Breslauer, Biopolymers 26, 1601 (1987). 71 C. A. Gelfand, G. E. Plum, A. P. Grollman, F. Johnson, and K. J. Breslauer, Biochemistry 37, 7321 (1998). Scheme 6. Photoinduced oxidative damage of DNA. 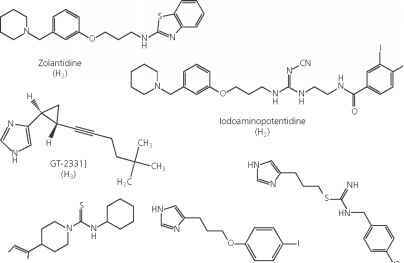 guanine oxidation is to use a photoinduced trigger. A number of organic72-76 and inorganic18,21'23,55'77 triggers covalently attached or intercalated in DNA are being explored. 721. Saito, T. Nakamura, K. Nakatani, Y. Yoshioka, K. Yamaguchi, and H. Sugiyama, J. Am. Chem. Soc. 120,12686 (1998). 73 D. B. Hall, S. O. Kelly, and J. K. Barton, Biochemistry 37, 15933 (1998). 74 E. Meggers, M. E. Michel-Beyerle, and B. Giese, J. Am. Chem. Soc. 120, 12950 (1998). 75 E. Meggers, D. Kusch, M. Spichty, U. Wille, and B. Giese, Angew. Chem. Int. Ed. 37, 460 (1998). 76 B. Giese, S. Wessely, M. Spormann, U. Lindermann, E. Meggers, and M. E. Michel-Beyerle, Angew. Chem. Int. Ed. 38, 996 (1999). 77 D. B. Hall and J. K. Barton, J. Am. Chem. Soc. 119, 5045 (1997). generates anthraquinone radical anion and an adjacent base radical cation.25'78'79 This radical cation then migrates through DNA until it is trapped by the 5'-guanine of a GG block to yield an 8-oxoguanine in the presence of O2/H2O. Subsequent hot piperidine treatment cleaves DNA at the oxidized guanine site and the resulting shorter DNA strands are analyzed by polyacrylamide gel electrophoresis to compare GG cleavage efficiency with different distances. Long-range charge transfer can occur over distances of approximately 200 A.